I had been having dreams again. This dream somehow bothers me of what is its meaning or what is the message it wants to convey to me. 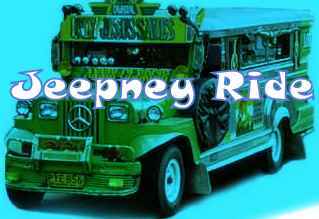 In my dream, I was waiting for a jeepney in one of the corners in the city. In that corner, I saw my husband with a companion but we seem like friends only. He rode ahead of me. When I already arrived in a housing subdivision, I visited a house then walk again to look for my husband. I looked and at the end of the street, there was a church and a Sunday service was being held. I returned back and after few houses I saw my husband. I was so furious with him because he left me behind. Then I woke up. I told my husband about it and he told me that if a dream is about leaving someone behind it means death. If you are dreaming of crossing a river and you can’t cross, it is a reminder that you are allowing temptations to weaken your relationship with the Lord. He told me that maybe I am spiritually weak that I am having bizarre dreams. If only there would be dream catchers that would catch dreams and interpret it for us. I only hope and pray that nothing bad will happen to me and my family. Hello! It’s fun to meet fellow bloggers. I’m following you now. You have interesting posts here. Please follow me back on these links if you have time. www.ronadelle.blogspot.com, www.ronareviews.blogspot.com, www.dellechen.blogspot.com. Thanks! I highly appreciate the favor. God bless you!